The information contained within this website and any extensions is for informational purposes only, and not to be regarded as otherwise. 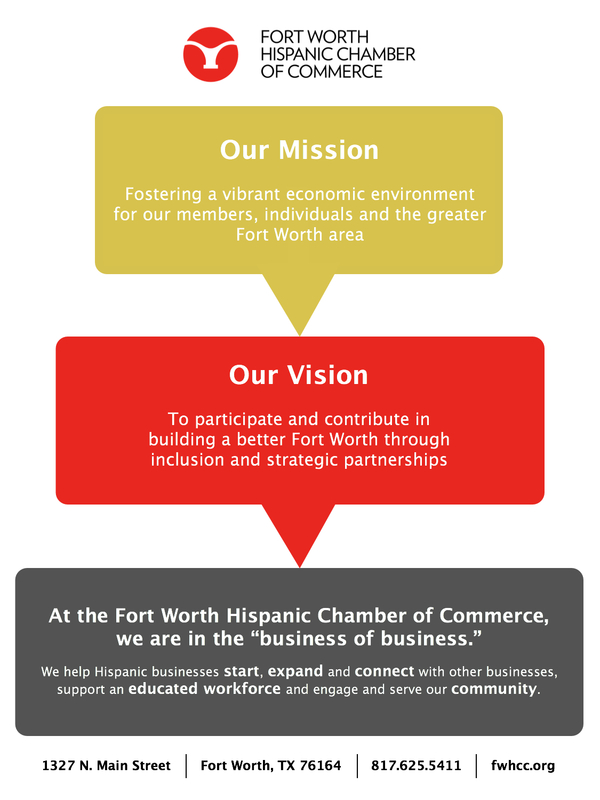 The Fort Worth Hispanic Chamber of Commerce attempts to maintain the accuracy of all information with utmost integrity, however we do not offer or imply any guarantees. Any dependence you position on such information is fully at your own risk. The Fort Worth Hispanic Chamber will not be liable for any damage or loss arising out of or in connection with the use of these webpages. Furthermore, we also will not be liable for any links provided to sites or resources, which we do or do not control. While we do include links, this does not entail that we recommend or endorse the views expressed within them.